In December 2018, I was lucky enough to escape the office and spend a week in the Alps checking out the very best luxury chalets in Val d’Isere and of course, getting to know the ski area! 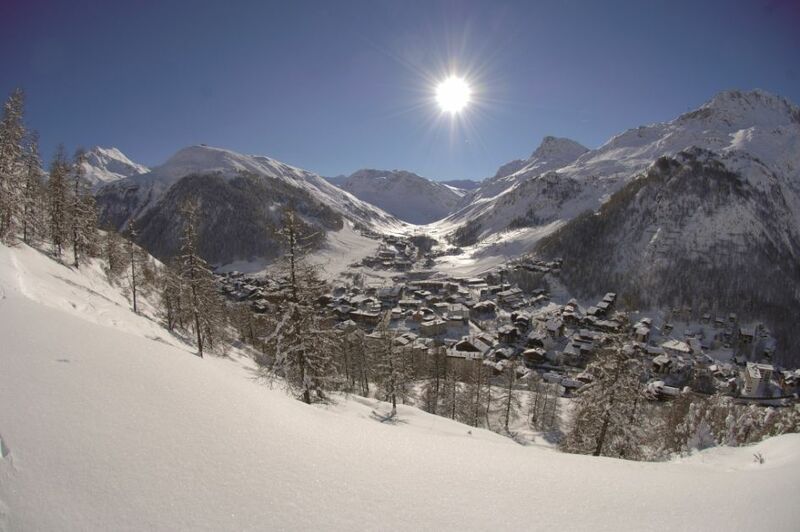 Val d’Isere is one of our most popular resorts and it is easy to see why. Wide open pistes, excellent apres and nightlife, great shops and some of the finest luxury chalets in the Alps. 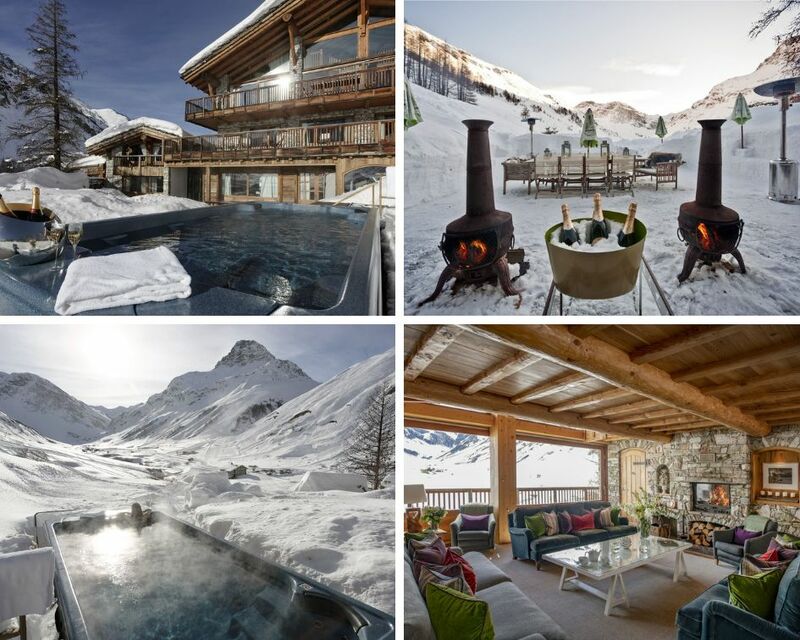 I have had a look at the best of the best on offer and put together my top picks of Ultimate Luxury Chalets in Val d’Isere. This ski-in ski-out chalet really is like no other I have seen before. Restored from an old monastery, it maintains some original features which contract against the state of the art facilities on offer. Domaine de Toit du Monde is made up of two chalets, Chalet Himalaya and Chalet Toit du Monde, which can be rented separately or together to sleep up to 16 guests. Sitting on a pedestal above the Petit Alaska enclave of Val d’Isere is Chalet Inoko, a beautiful modern chalet with 5m high cathedral ceilings in the living area, which make the area feel spacious and inviting. If you are looking for sophisticated luxury in a quiet area of town, Chalet Inoko is the perfect private getaway. If you are looking for a chalet with personality, you need look no further than Chalet Husky. Quirky furniture and artwork, extra dimensional lighting and an indoor atrium garden all combine to make this a truly unique chalet. 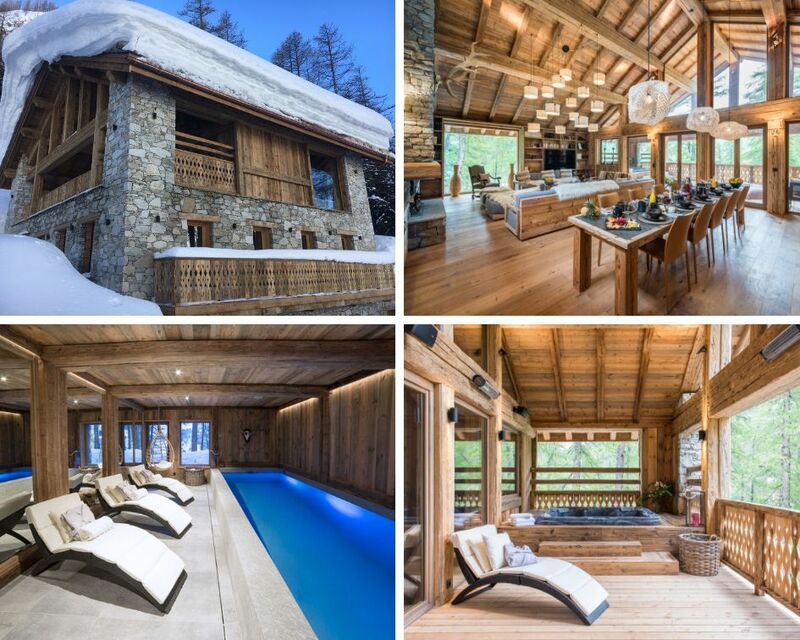 Located in Petit Alaska, this stunning chalet is just 350 metres from the centre of town and only a 5 minute walk to the slopes and lifts. 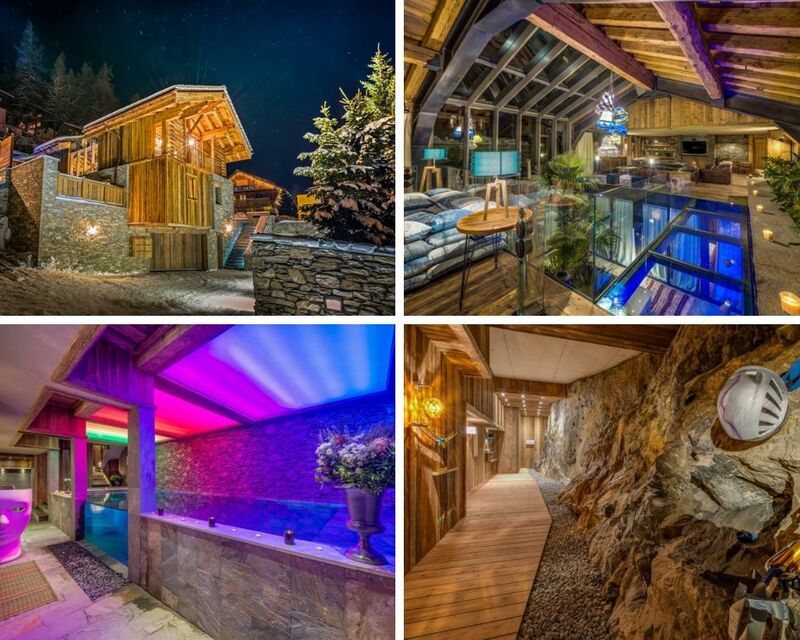 This beautiful chalet is newly built for the 18/19 season and is located in the Le Cret area of Val d’Isere. Sleeping 14 guests and spread across 3 floors, this chalet provides the perfect spot to relax after a long day of skiing. From the indoor pool on the lower floor, to the spacious living area complete with a roaring fireplace, bar area and quiet reading nooks, there is plenty of space for your whole group to unwind. Sister chalets right next to one another are Chalets Black and White Pearl. Built by Philippe Capezzone, owner and designer of the Hotel Le K2 Palace and Hotel Le K2 Altitude in Courchevel, these chalets have been built to offer the highest levels of luxury and comfort. When walking around these chalets, you notice how pristine and exquisite the furnishings and decor look, from the magnificent indoor swimming pools with jet stream, to the luscious bedrooms with designer en-suite bathrooms. Together these chalets can sleep groups of up to 20 guests. Perfect for larger groups looking for a luxury catered chalet in Val d’Isere is Chalet Le Chardon. Located in the exclusive Legattaz area and just 50 metres from the slopes with access to Bellevarde and Solaise. The highlight of this chalet has to be the large private terrace where you can relax after a day on the slopes with a drink served from the hand crafted snow bar, or enjoy an evening BBQ. In a prime central location in Val d’Isere, set back from the main road giving you privacy and easy access to the town and lifts, is Chalet Marco Polo. 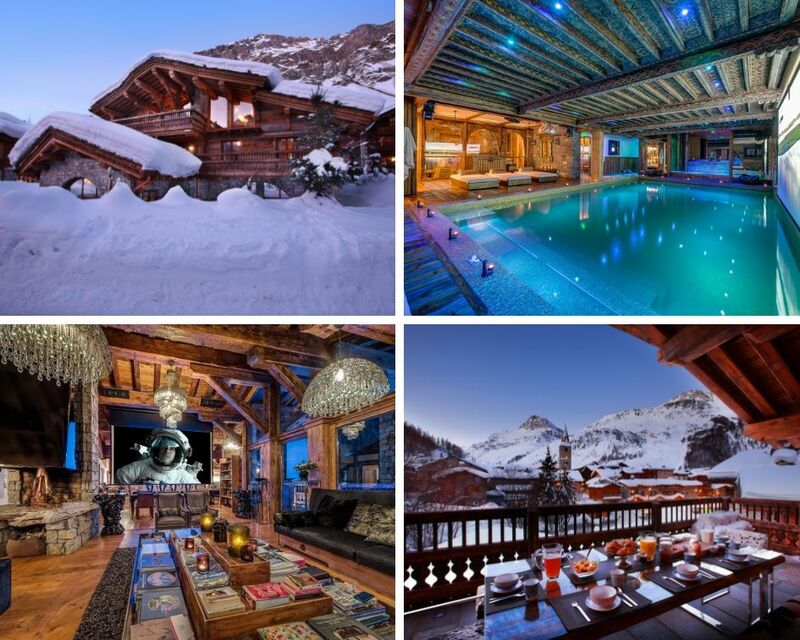 This chalet was voted the Best Ski Chalet in France two years running and it is easy to see why. The wellness facilities rival that of any chalet in the Alps, with a whole floor dedicated to relaxation. The indoor pool is covered in gold leaf and has jet streams and the adjoining relaxation area has a bar, fireplace, laser, smoke machines and an entertainment system. Your home away from home in Val d’Isere, this chalet combines ultimate comfort with ultimate luxury and will have you wanting to leave the slopes early to head back and put your feet up. Make sure you head into the dining room and check out the impressive full view of La Face, the black home run which when lit up at night, provides an amazing backdrop to your evening meal. 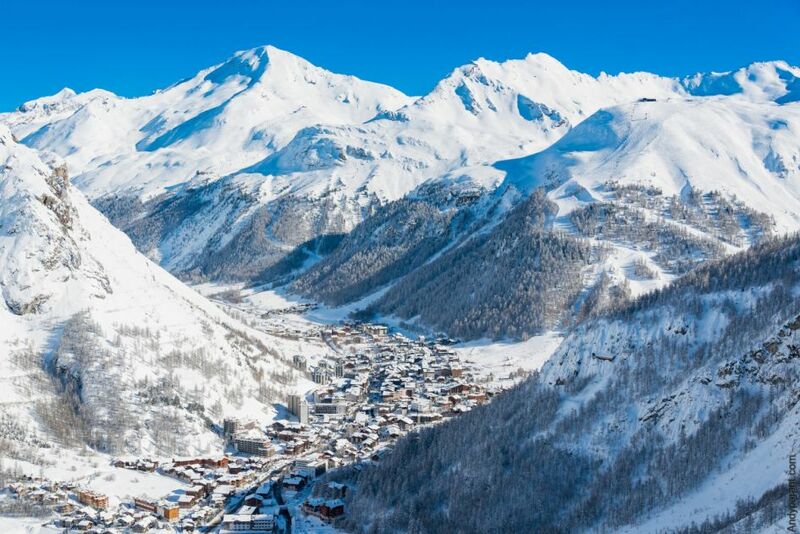 Are you planning your next luxury ski holiday to Val d’Isere? You will be spoilt for choice with the above chalets on offer. Give us a call on +44 1202 203653 or send us an email and we can help you chose the perfect chalet for you!